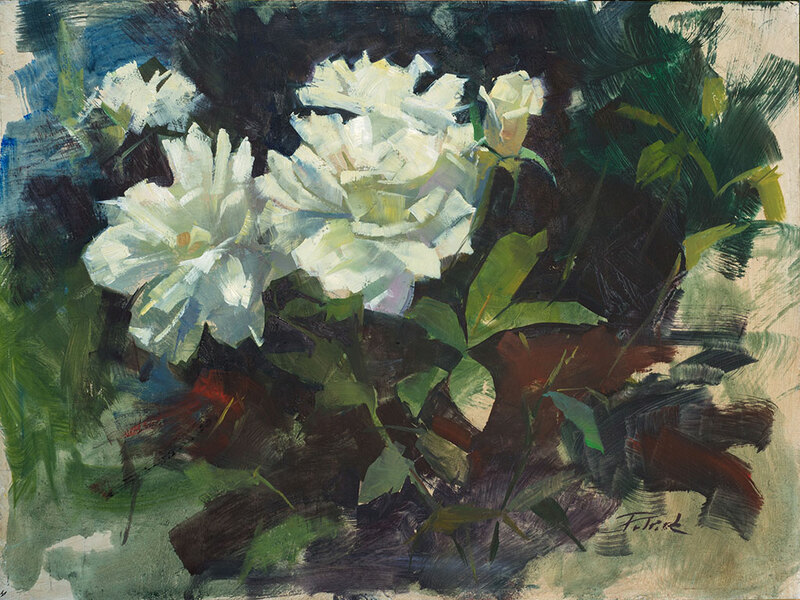 I painted these roses during the quick draw event at the 2015 Sonoma Plein Air Festival. My favorite part - the leaves. There's not much too them, mostly the outer shape, but they say alot.